How do I record the initial loan receivable transaction? How do I record the repayment of the loan to myself (including principal and interest)? Loan Receivable is an asset account type. To set up all related Loans Receivable account click here. 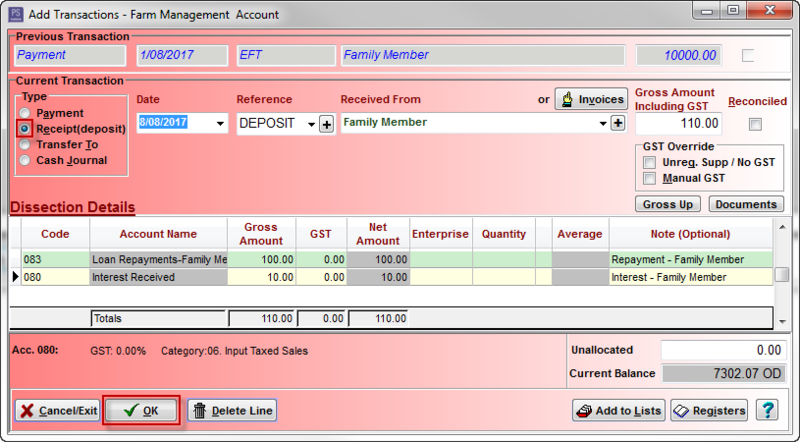 Click on the Cashbook icon. Click on the Payment radio dial. 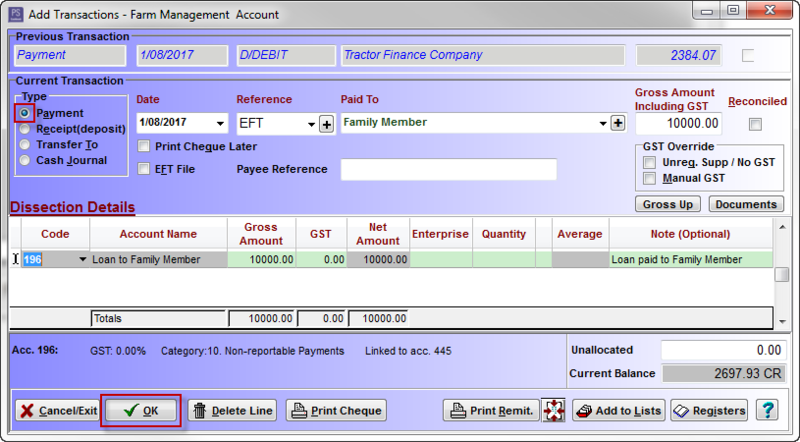 Enter the loan amount as a negative in the Dissection Details section. Click on the Receipt radio dial. 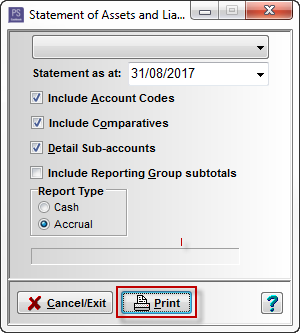 Enter principal amount as a negative in the Dissection Details section. Entere interest amount as a positive in the Dissection Details section. 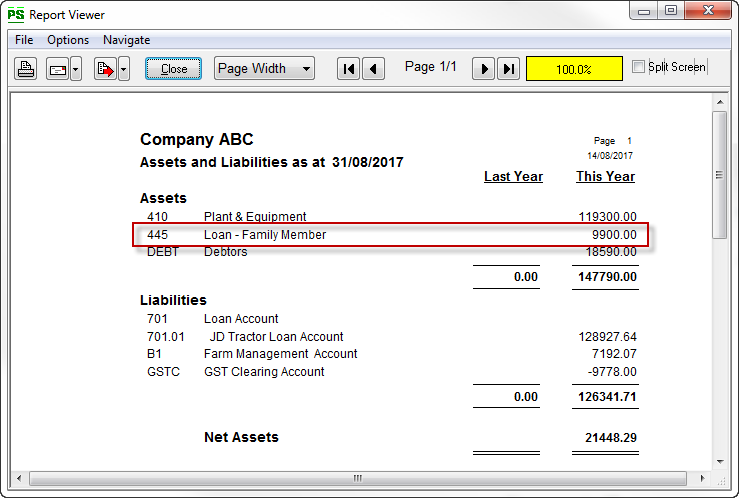 Click on the Reports > Financials > Assets and Liabilities menu option. Select the Statement as at: date. Tick the appropriate check boxes. For example: balance of loan.